Bake cake according to directions for a two layer cake. Remove cake from pans and place on a wire rack. Cut out a piece of parchment paper to fit layer cake pans. Place paper on bottom of cake pan and place cooled cake on top of paper. 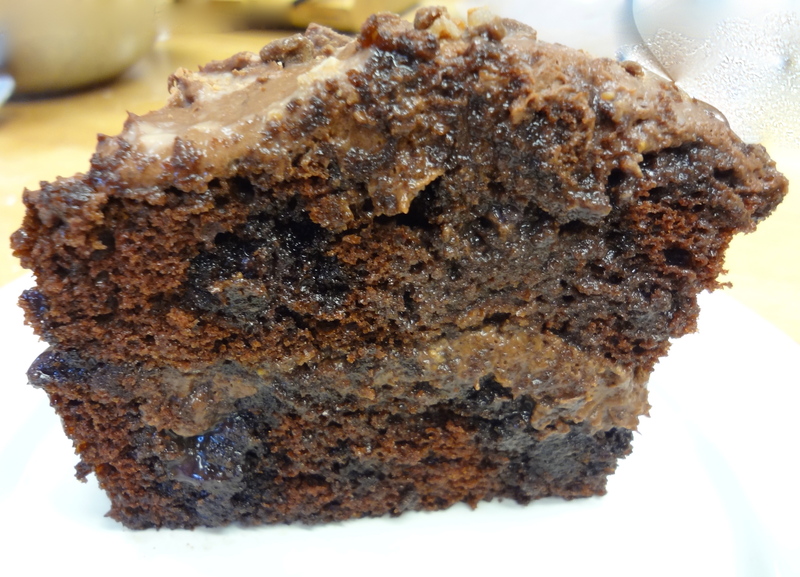 Make holes in the entire top of the two cakes using the handle of a wooden spoon. Poor (one at a time) raspberry/chocolate, butterscotch/caramel and condensed milk over top of the cakes and let each flavor soak in before adding the next. In a medium sized mixing bowl add all frosting ingredients and beat using a hand mixer until thick. Place one of the layers on a cake dish and frost with 1/3 of the frosting. Sprinkle frosting with toffee bits. Place second layer over toffee bits and frost the top of the cake. Drizzle more caramel sauce on top of cake. Yikes, its been almost a week ago that we went to Bonefish…delicious meal…as always….tried the “spicy shrimp” for the first time, I was impressed…I’ll have to work on that recipe. 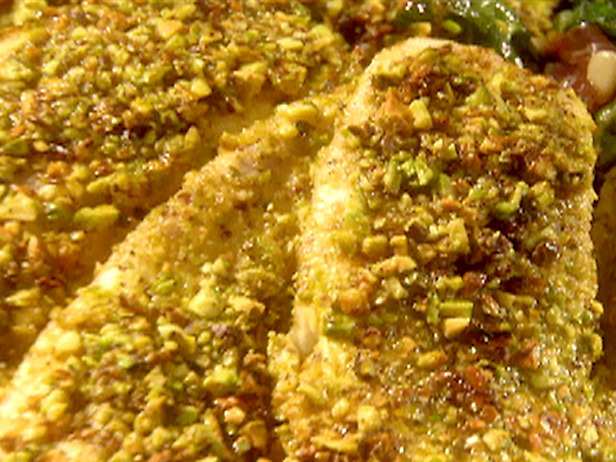 Here is my version of Bonefish’s “Pistachio Encrusted Rainbow Trout“…enjoy, I think its a winner!!!! Combine white wine lemon juice in a saucepan. Let simmer until reduced by half. Add heavy cream and let simmer until thick but not brown. Add lemon zest, salt & pepper. Whisk in butter over low heat. Combine breadcrumbs, Parmesan, and pistachio nuts in a shallow pan. Whisk egg and milk in another shallow pan (pie pans work great). Lay trout, presentation side down and skin side up, in egg mixture than press into dry mixture firmly pressing the breadcrumbs into the fish. This is best to do ahead of time and keep fish refrigerated for at least ½ hour to prevent coating from flaking off during cooking. In a large sauté pan heat the butter and extra virgin olive oil over medium heat. Add trout, presentation side down. Sauté for about 2 – 3 minutes. Carefully turn fish over and cook an additional 2 – 3 minutes, depending upon the thickness of the fish. This video is from my “Live at 9” demonstration on June 13, 2011…enjoy! Heat oil in a large skillet over medium high heat. Add chopped vegetables and cook until soft, about 5 minutes. Add pepper flakes, basil, parsley, ground black pepper, chicken stock, tomatoes and beans. Bring mixture to a boil and simmer for 15 minutes. Add cooked pasta and simmer an additional 2-3 minutes. Garnish each serving with grated cheese.